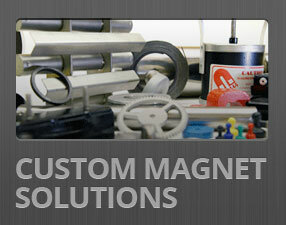 Switching from traditional ferrite magnets to rare earth magnets is no small thing. Magnets are measured by their BHmax score. The higher the number the stronger the magnet. Most traditional ferrite magnets will have a BHmax of no higher than 3.5. 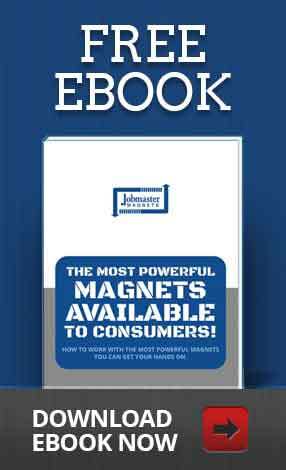 A rare earth magnet can have a BHmax of up to 40, more than ten times stronger! Any time that you have a jump of power like that you will need to carefully consider how to implement it. The best thing about this switch is that you can manufacture your products much smaller and lighter. With the higher BHmax score you will need less material, less packaging around it and less space in general. You should think about whether or not there will be a cost reduction that is comparable. Your decision making process should be concerned with the improvements in performance, the cost involved with obtaining that performance, the reduction in power consumption and how that affects the systems around it and any other factors that this conversion will put on the product as a whole. Something that may escape some people is that the electrical conductivity of rare earth magnets is very large when compared to other types of magnets. This comes into play greatly in motors and generators where heat can be generated due to the altering of the magnetic field due to the moving parts. The adhesion choices you make are important because the thermal expansion rate of rare earths are vastly different from ferrite magnets. It is critical that you choose the right adhesive to match where and how the magnet is being used to minimize issues during regular use. A use that is sometimes overlooked is as advertising. Magnetic rolls and sheets are often used for this purpose, but a strong rare earth magnet holding up you advertising, or handed out as a promo, is a sure way to get some attention! 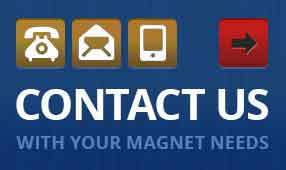 Contact us at Jobmaster Magnets if you need any help sorting through these issues. We would be glad to help you! This entry was posted on Monday, January 28th, 2013 at 8:00 am and is filed under Rare Earth. You can follow any responses to this entry through the RSS 2.0 feed. You can leave a response, or trackback from your own site.